Parenthood has changed the singer for the better. 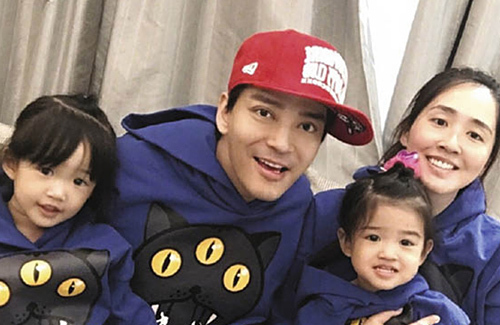 Happily married for four years, 43 year-old Daniel Chan (陳曉東) is every bit the loving father, and would always make an effort to spend time with his two daughters at their Taiwanese residence. 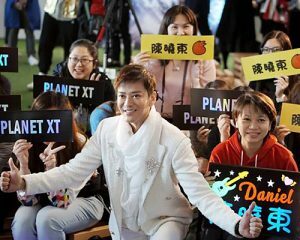 With his boyish good looks, it is hard to believe Daniel will be celebrating his 20th year as a singer in 2019, with hits such as “Hua Huo Chai” <劃火柴> and “A Million Years”<一萬年>. Since successfully securing his concert venue at the Hong Kong Coliseum, Daniel has been actively involved in production and other preparations. Having been rejected previously in his application for the popular venue, he received notice last year about the slot and went down personally to hand in the deposit check and secure his show dates. Filming a Taiwanese drama in 2013, he got to know his current wife Wang Shu Xian (王妤嫻) at a friends’ gathering. Despite their 14-year-age difference, the two fell in love at first sight, deciding to marry after a year of dating. To take better care of his family, Daniel set up his home in Taiwan, and travels frequently between Taiwan, China, and Hong Kong for work. Agreeing with a common saying, Daniel feels that parents should communicate more with their children in order to better understand the meaning of their own lives. “Young children bring up meaningful questions. While adults’ thinking is very logical and predictable, kids will often focus on minute details, which adults will neglect after growing up. Chatting with kids re-awakens this intuition,” he said. Having many classic tunes under his belt, Daniel’s daughters have also started to learn some of his songs. “Both of them would make noise about wanting to watch my performance when I get home. Their favorite song is “Psychological Game” <心理遊戲>. As his kids are still young, he would not teach them his Cantonese love songs until later. OMG What happened to the real 陳曉東? That’s not 陳曉東. @mike unfortunately it’s a case of too much botox, makes him almost unrecognizable. He used to be very handsome with his baby faced looks. I myself would much prefer a naturally ageing baby faced Daniel, than a smoother but almost unrecognizable Daniel. i think he’s not as bad as wong dong shing, from Fahrenheit. i think that’s the right one…. the guy looked like a completely different person, i think he had his whole face done. at least dong dong still look a bit like his former self.